La Vidéoshop is a pop-up microcinema and video salon created by film & video artists Sabine Gruffat and Bill Brown. 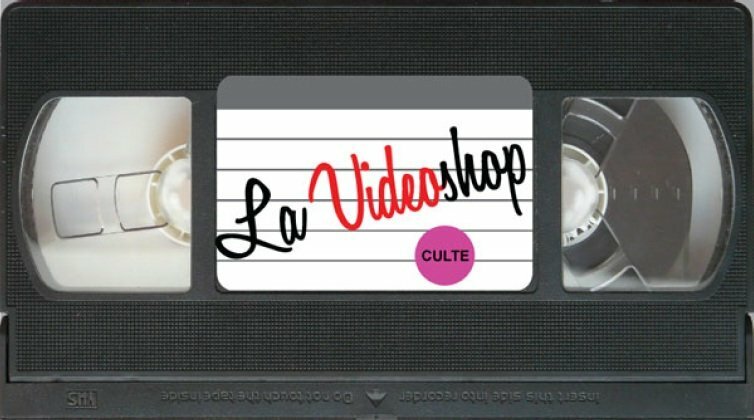 From June 18-30, 2015, La Vidéoshop will occupy an empty storefront art gallery at 40 Rue Quincampoix in the Beaubourg district of Paris, France. While the gallery is open, La Vidéoshop will offer visitors a comfortable video salon where they can select and view videos from an on-site collection of curated work. Every night, La Vidéoshop will present free screenings and performances organized by a group of experimental filmmakers, contemporary video artists, and curators. Participating artists and curators include: Peggy Ahwesh, Rebecca Baron, Roger Beebe, Dorothea Braemer, Sarah Christman, Gaëlle Cintré, Thomas Comerford, Brent Coughenour, François Daireaux, Bill Daniel, Vincent Dieutre, Redmond Entwistle, Kevin Everson, Jim Finn, Walter Forsberg, Sasha Waters Freyer, Raphael Gianelli-Meriano, Michael Gitlin, Doug Goodwin, Jackie Goss, Abigail Han, Christopher Harris, Jim Haverkamp, Shambhavi Kaul, Geoffrey Lachassagne, Laida Lertxundi, Carl Lee, Christelle Lheureux, Jodie Mack, Laura Mcgough, Jesse Mclean, Julie Murray, Sharna Pax, Paulina Egle Pukyte, Ed Rankus, Lucy Raven, Marie Regan, Michael Robinson, Jay Rosenblatt, Vincent Roux, JP Sniadecki, Jenny Stark, Deborah Stratman, Trixy Sweetvittles, Jennet Thomas, Cécile Tourneur, Sami Trabelsi, Hong-An Truong, Naomi Uman, Danièle Wilmouth, Caveh Zahedi. 21:30h - (Dis)Appearances : Curated by Rebecca Baron with Rebecca Baron, Doug Goodwin, Gaëlle Cintré, and Abigail Han.